Alex Mowatt's stunning strike got Barnsley back to winning ways as they beat Bristol Rovers 1-0. The Reds had suffered back-to-back away games, but continued their unbeaten home record thanks to Mowatt's 11th-minute rocket. The former Leeds midfielder sent the ball into the top corner from 20 yards and that was enough for Daniel Stendel's men reassert themselves in the League One promotion mix. Mowatt's moment of magic was the first real chance of the game and it put the Reds on the front foot, though they could not capitalise further. Rovers, struggling at the wrong end of the table, threatened an equaliser after 30 minutes but Adam Davies did well to keep out Stefan Payne's close-range effort. The hosts were able to get back on top after the restart and George Moncur, who assisted Mowatt, was also denied from close range. Barnsley came out the stronger of the two teams after the break and nearly doubled their advantage as George Moncur saw a close-range effort blocked. They should have been pegged back in the 73rd minute when they were caught five on three on the break but Kyle Bennett could not apply the finish for Rovers. Mamadou Thiam almost put the game to bet when his free-kick rattled the crossbar, but Mowatt's excellent effort proved just enough. 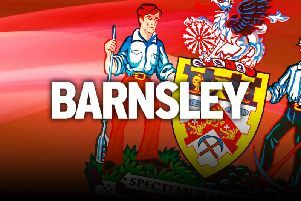 Barnsley: Davies, Pinnock, Lindsay, McGeehan, Moncur (Thiam 66), Cavare, Moore (Brown 75), Potts, Bahre (Hedges 84), Pinillos, Mowatt. Subs: Kendrick, Bird, Jackson, Williams. Bristol Rovers: Bonham, Leadbitter (Bennett 64), Kelly, Lockyer, J Clarke, Craig, Lines, O Clarke (Rodman 64), Sercombe, Payne, Reilly (Matthews 64). Subs: Smith, Jakubiak, Upson, Partington.